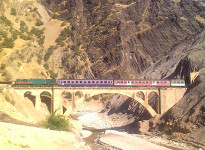 If you are looking for a beautiful combination of nature and railways and want to create unique memories, we recommend the 3-day tour to Lorestan and Central Zagros with our rail and road tour. Our road trip starts from Tehran. After having breakfast near Qom, we will continue to Arak. 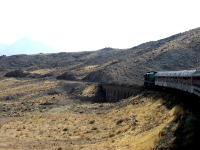 On our way through Shazand and Noorabad, we will come across some railroad crossings which serves as a prelude to our rail trip. 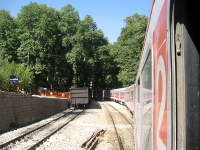 Then we will visit some spots which have historical significance, such as the place where Iran's railway system began in 1938 which remains the second highest station in Iran. 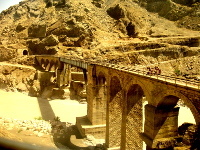 Following this, we will encounter the Dez River which rolls alongside the railway for kilometers. 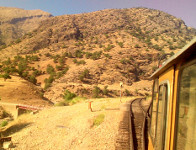 After passing some old stations, we will embrace the beautiful scenery between Darband and Roodak and we will stop at Dorood station. 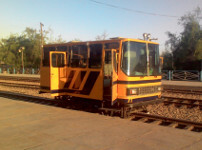 This station played a significant role in transferring war material to the Soviet Union during World War II. It is also where we will spend the first night of our trip. The rail part of our tip begins today. After having breakfast, we will leave Dorood Station for Dez River Valley by rail car. 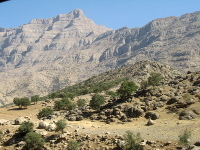 On our way to the Valley, we will travel through the picturesque natural beauty of Lorestan. 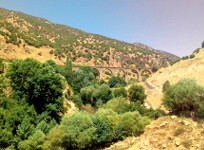 On our way south, we will visit different bridges, tunnels and stations which tells the story of the early years of Iran's rail system. 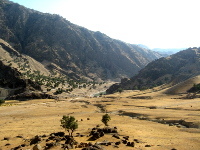 Sezar River which joins with the Bakhtiyari River will roar alongside of us; and we will see fabulous scenery along the route as the railway meets the river several times. 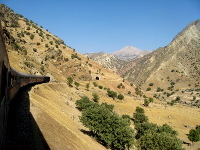 We will pass through Lashkar Station and see aspects of Iran's railway history during the Iran/Iraq war and then arrive at the most southern point of our trip, the Tang Haft Station. 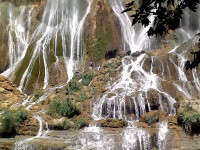 After having lunch at the station, we will begin the return journey and will revisit the views we had in the morning from a different perspective until we reach Bisheh Station where we will say goodbye to the rail car as well as visiting Bisheh Waterfall next to Sezar River. 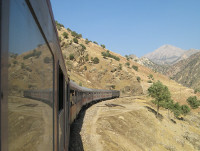 Here we will have quality time to enjoy the beautiful nature and scenery of Zagros until the sleeper train to Tehran arrives. We will arrive at Tehran train station in the morning. Travel with train and bus transfers. The maximum check-in baggage allowance is 30 kg per person. Currently this program has no planned dates. Please contact us if you are interested in this tour.